Today’s vehicles have a huge amount of computer power and future autonomous and connected cars will see this level increase. This means the fight against those trying to hack into them becomes even harder. By John Challen. As automakers continue to innovate and incorporate new technologies into cars for the ultimate driving experience, new safety and cybersecurity challenges are emerging. Connected and autonomous vehicles will be dictated by software, so it will be critical that this software is safe and secure over the lifetime of the car. Consumer safety, costly recalls and brand reputation are at stake when a vehicle is compromised. On a fleet-wide level, such levels of security are essential to ensuring uptime and efficiency levels are as high as possible and drivers are aware of the fact that they are safe – in every sense – behind the wheel. Almost every car made today is, in some way, connected to the Internet. Cars boast more technology than smartphones and computers – on a typical high-end car there are up to 100 million lines of code. “If you compare the amount of code in a car, with the Android operating system, which has about 10 million lines of code, we are talking about an order of magnitude larger in terms of the amount of software on these cars,” says Manea. “From a consumer standpoint it’s fantastic because there are a lot more features and the ability to drive autonomously,” he adds. “But it’s also good for hackers because having so many lines of code means there are potentially more ways to get into the car and a lot of software vulnerabilities in there. In response to this, Blackberry has set out a seven-pillar recommendation to try and ensure that cars can be made as safe and secure as possible. These recommendations are what the company believes to be the seven most important things that need to be done in order to achieve the required level of security and the company says they can be adopted for other markets. Behind the scenes, vehicle developers and suppliers will hopefully be doing all the hard work to prevent drivers suffering from cyber attacks when behind the wheel. Here’s Blackberry’s step-by-step suggestion for what they should be doing. Ensure that every chip and ECU in the automobile can be authenticated and loaded with trusted software, irrespective of vendor tier or country of manufacture. Use sophisticated binary static code scanning tools during software development to provide a broad assessment that includes open source code content. A recommended set of parts that have proper security and safety features – and have been hardened against security checks – is essential. The operating system must be safety certified and must have multi-level security features such as access control policies, encrypted file systems and thread level anomaly detection. Ensure that all ECU software has integrated analytics and diagnostics software that can capture events and log and report to a cloud-based tool for further analysis. Also, ensure that a defined set of metrics can be scanned regularly when the vehicle is in the field. 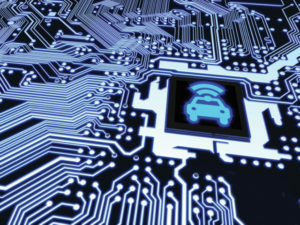 Use an electronic architecture for the automobile that isolates safety critical and non-safety critical ECUs and can also ‘run-safe’ when anomalies are detected. Create an enterprise network to share common vulnerabilities and exposures among subscribers. By doing so, teams can learn from each other and provide bulletins and fixes against such threats. When an issue is detected using pillar 3, proactively re-flash a vehicle with secure over-the-air software updates to mitigate the issue. Ensure that every organisation involved in supplying auto electronics is trained in safety and security with best practices to instil this culture within the organisation. This training should include design and development culture as well as IT system security.